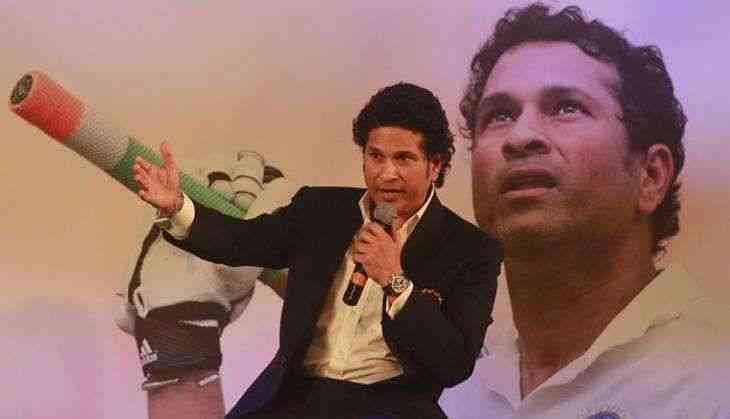 A new documentary on Sachin Tendulkar's eventful career that culminated with winning the World Cup in 2011, is set to be screened on the eve of the former Indian cricketer's 44th birthday. Titled 'Little Master', the film will be aired on Sony ESPN Channel on April 23. Documenting the historic win of the Indian cricket team six years ago, the production will illustrate how a sport and one man can redefine the rise of a nation over the course of a few weeks. 'For Indian cricket fans and Sachin admirers, it's always a great story to relive and celebrate. I was fortunate to spend some time with Sachin and hear from him what it meant to win the 2011 World Cup. 'The teammates also describe their journey together and what it meant to them to be able to deliver that elusive World Cup to Sachin - it makes for a pretty great story,' says Gautam Sharma, who has directed the film. The story highlights the team's victory as 'one man's meeting with history and a team's meeting with greatness'. Sharma says, the film also projects the significance of team sport like Cricket. 'This is the true story of how the burden of an entire nation, desperately craving entry into the global elite, bends and almost breaks the collective aspirations of a country, but then is rescued by the power and transcendence of a team sport,' he says. ESPN films will also showcase two other documentaries -- 'The Birth of Big Air' that chronicles the life of BMX legend Mat Hoffman, and 'Free Spirits', which tells the intriguing story of the Spirits of St Louis, the team that lived at the end of the American Basketball Association but did not survive the ABA-NBA merger.